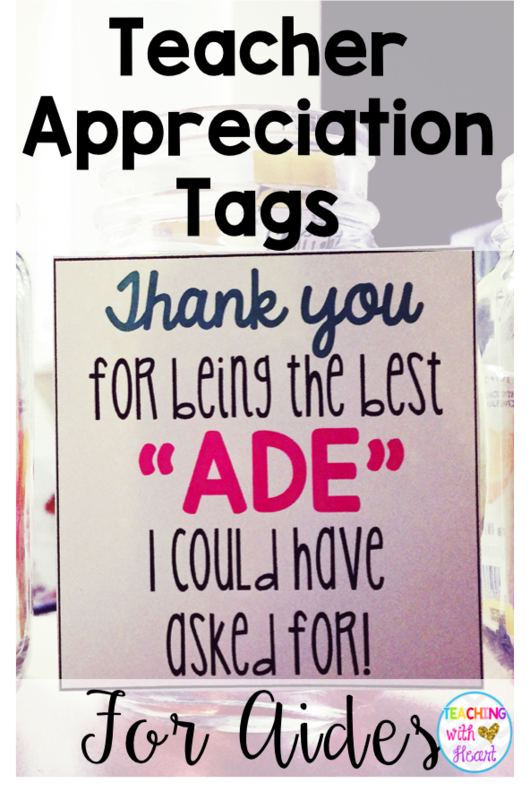 It's time for Teacher Appreciation week, and I can't help thinking that I couldn't do what I do without the help of my classroom paraprofessionals! I am lucky enough to have a wonderful paraprofessional with me for the morning, and another amazing paraprofessional with me 3 days a week for an hour in the afternoon. 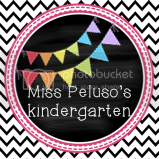 They run a small group, help me with students who need a little extra attention, and provide extra instruction for a few of my kiddos who need more one on one practice. They are TEACHERS! 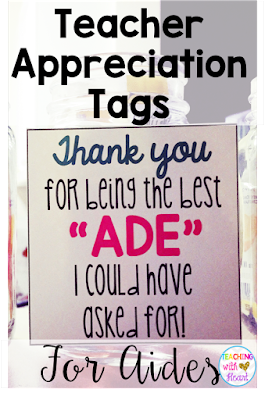 Instead of waiting until the end of the year to thank your classroom or school aides, why not include them in Teacher Appreciation week?! One of my favorite simple, inexpensive, and DIY gifts are these little Mason jars filled with reusable ice cubes and some Crystal Light! I got all of the items at The Christmas Tree Shop (if you've never been to one, you NEED to find one!) and attached a little tag. It's nothing huge, but just a little token of my appreciation to some of the people who help make my classroom run smoothly. 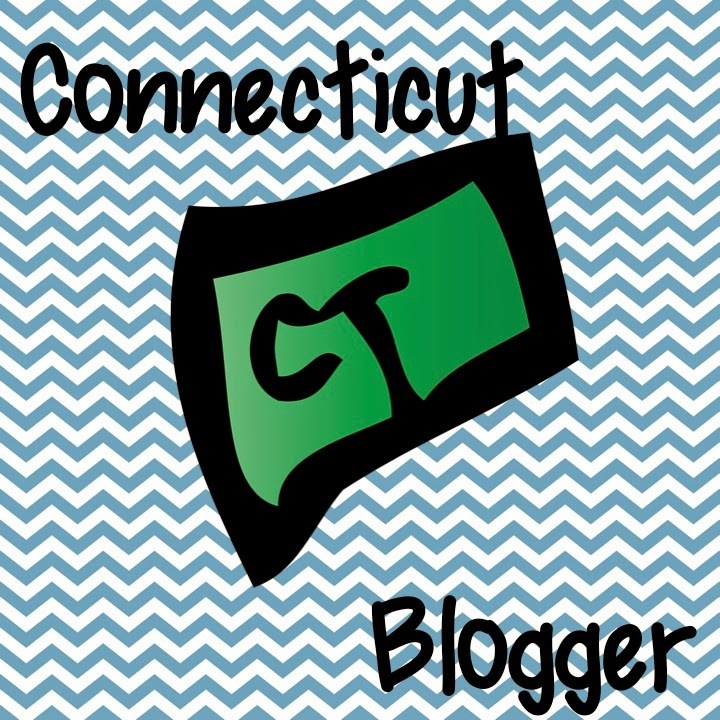 Want to snag these tags for FREE? Click here to download them now! 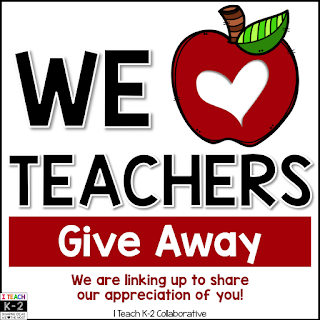 Don't forget to help us celebrate YOU this Teacher Appreciation Week! 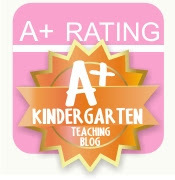 Enter below to win a $25 TPT giftcard! I love it Gina! Such a GREAT idea! 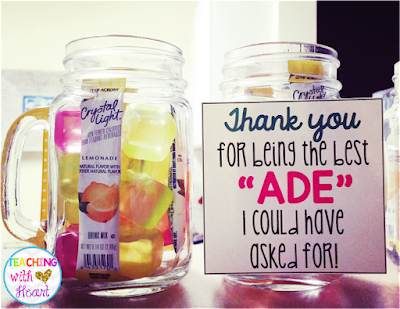 I can't wait to celebrate the teacher aides at my school! Thanks, Diane! 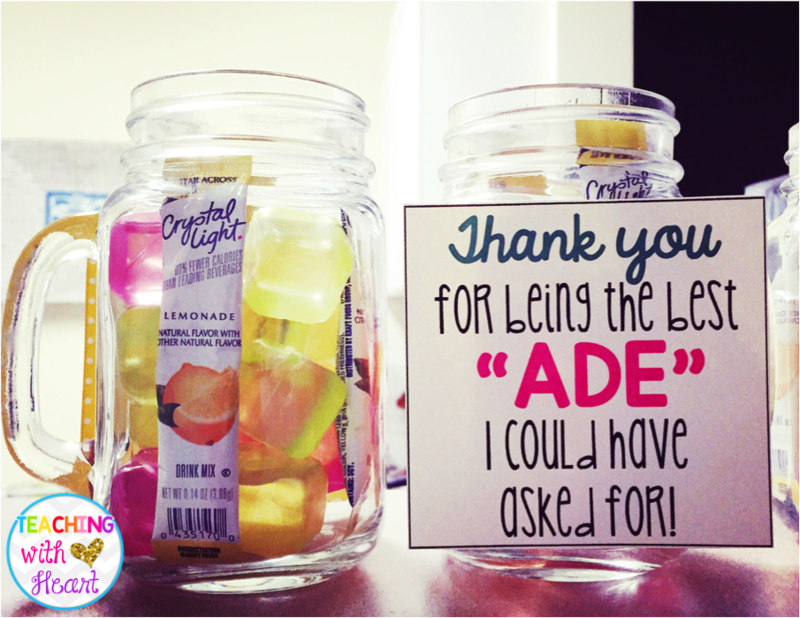 I just needed to find something to do with the mason jars- I thought they were so cute! !